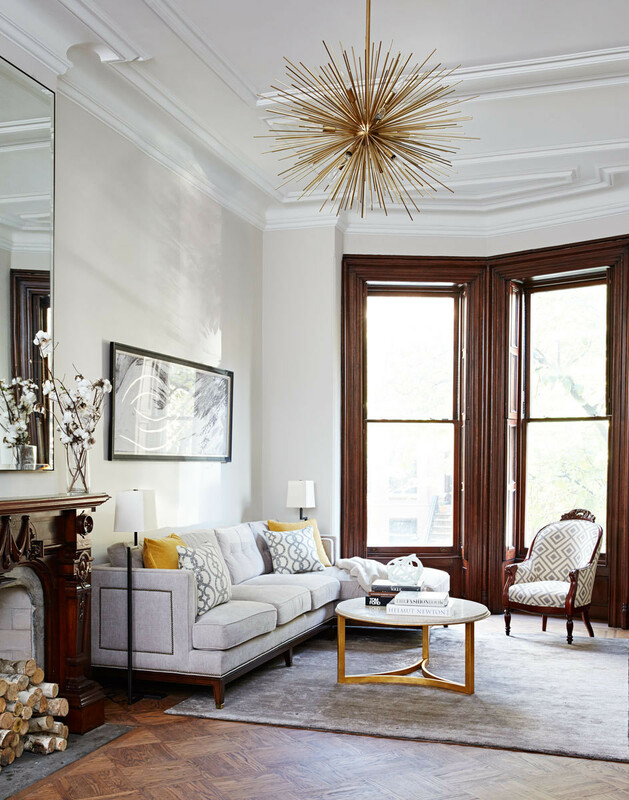 The gracious proportions and ornate details of this 1876 townhouse provide a classic frame for Nicole Gibbons's refined decor. 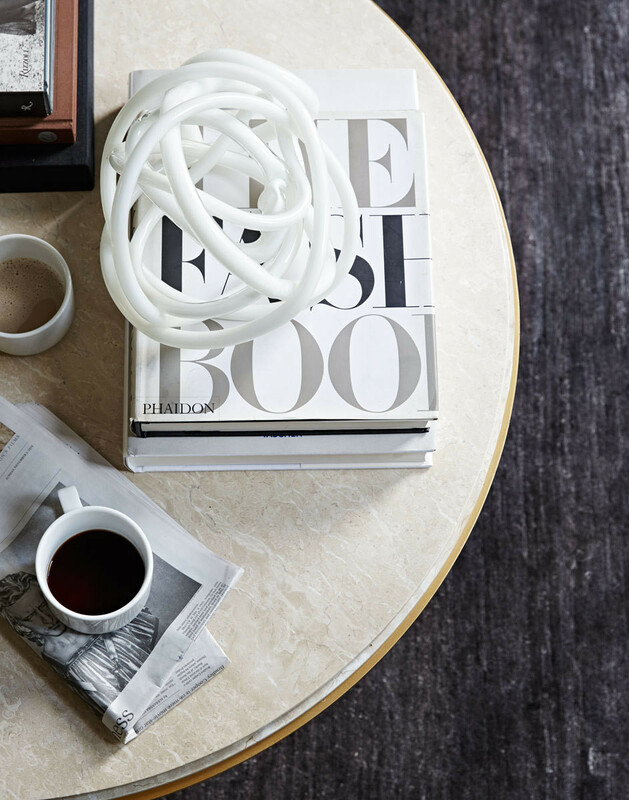 Rounded surfaces such as this DwellStudio cocktail table are elegant yet kid-friendly. The owners' heirloom chair was recovered in a boldly geometric David Hicks fabric. 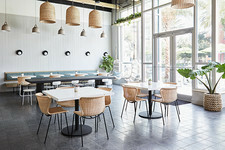 Now, with a recurring role on OWN’s Home Made Simple and frequent appearances as a decorating expert on morning talk shows, Gibbons has reached a new maturity as a designer. 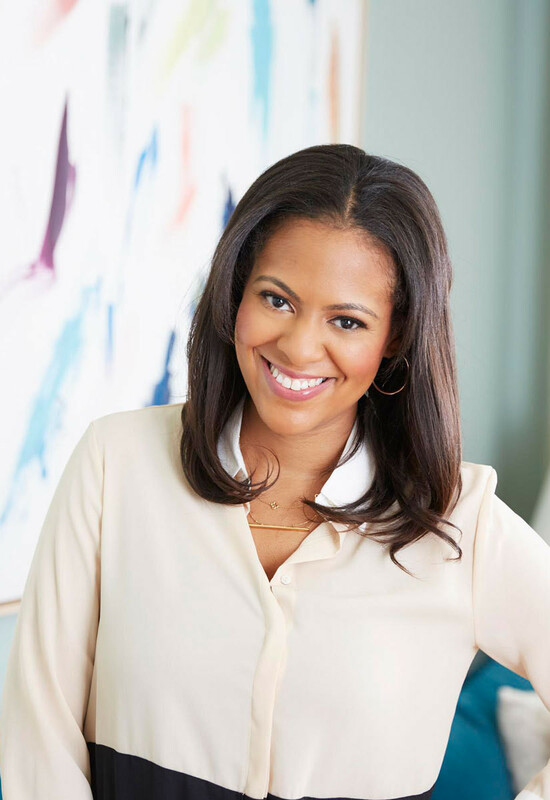 Her most recent project exemplifies this evolution: a four-story brownstone in Brooklyn, New York’s Park Slope, for a family with two young children. The 19th-century structure required a gut renovation and interiors with an understated yet elegant approach. 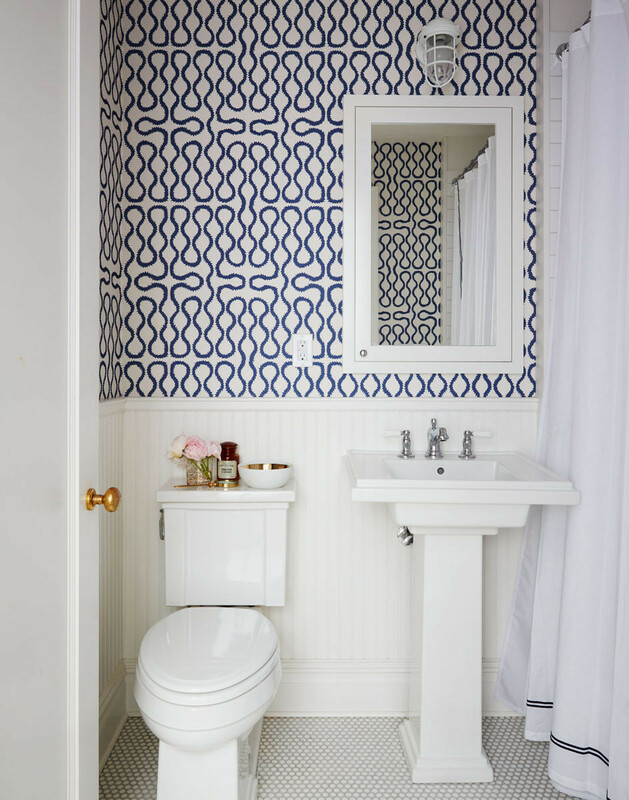 Ornate flourishes, durable furnishings, and high-impact doses of geometric patterns create a remarkably cohesive look. “With any project, I love to mix old and new,” Gibbons says. “In this case, since the architecture was original to 1876, I created contrast with clean furniture styles that nod to historical context.” In the living room, she added brass nailheads to an angular sofa and designed a mirror of antiqued glass in a minimal steel frame to hang above an ornate fireplace. 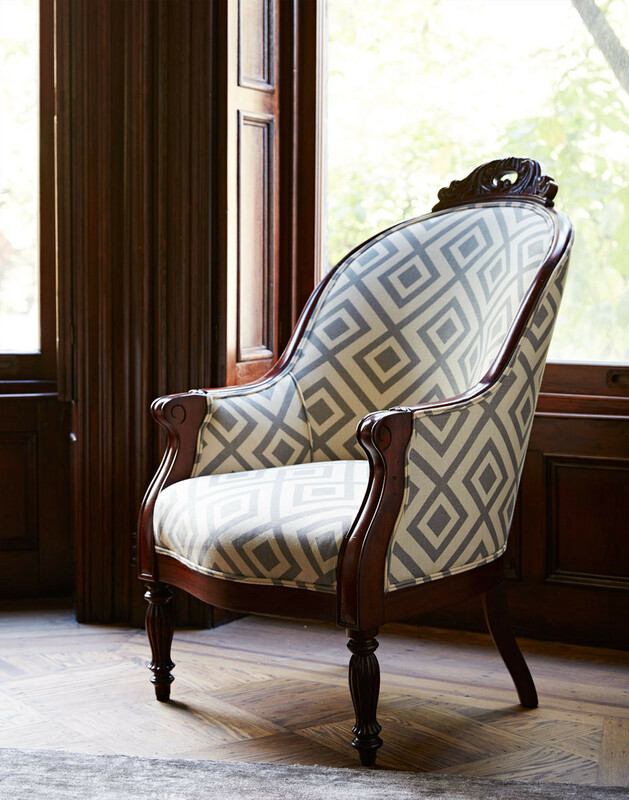 An heirloom armchair was recovered in a bold David Hicks fabric to give it modern edge. 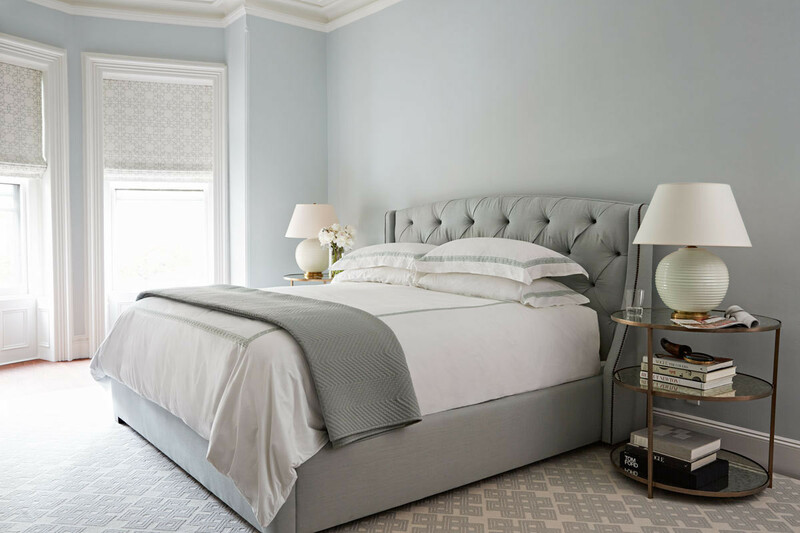 And upstairs in the master bedroom, the soft blue-and-white palette subtly highlights the home’s architectural details. Pattern bursts forth in a powder room covered in Vivienne Westwood for Cole & Son wallpaper. 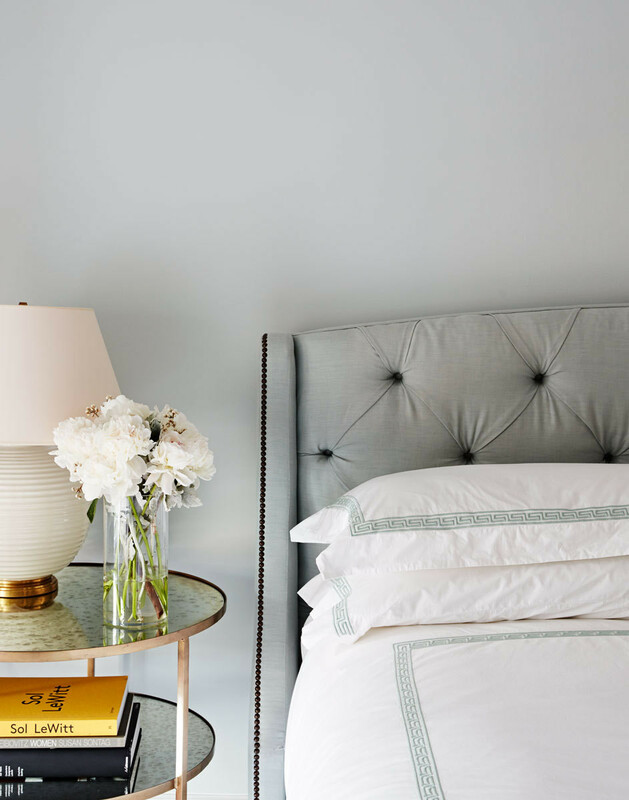 A tufted headboard with nailhead trim in the master bedroom provides comfort and structure. Painting the original crown molding, ceiling medallion, and the millwork in the master bedroom classic white creates cohesion while underscoring the home’s historical frame. Visually disruptive surfaces, including the grass cloth in the entry and the Vivienne Westwood wallpaper in the powder room, inject energy throughout. Light fixtures—such as the Art Deco–style sunburst chandelier by Arteriors—command attention, as do the oversize mirrors displayed above the home’s fireplaces. Gibbons calls the playroom her favorite part of the whole design. 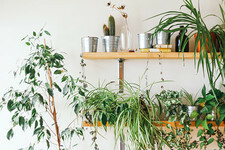 “It was actually the space with the smallest budget, but the clients were open to being more adventurous with color and pattern,” she says.